Renault is unveiling the hatchback version of its popular small - Dacia Logan - at the upcoming Paris Auto Show 2012. 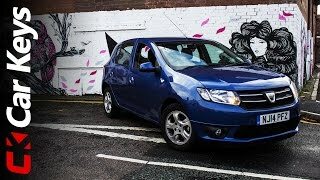 This all-new hatchback Dacia Sandero 2013 retains the key elements: simplicity and affordability, that made the Logan and its siblings popular in economical car segment. 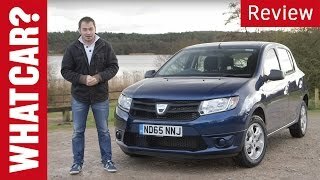 On the exterior, Dacia Sandero borrows the design cues from Lodgy minivan and Duster SUV. On the other hand, the interior is same as the Logan. Based on the optional upgrades, you may see upgrades like chrome instrument bevels, touchscreen infotainment system. More details on the car will be unveiled as we get closer to the 2012 Paris Auto Show. Just ahead of its world debut at the Paris Motor Show, Dacia has pulled the covers off of its all-new Sandero supermini. Crucially, unlike today’s model which is already a huge hit worldwide, this time there’s great news for UK car buyers, because it’s coming here. Naturally, with a “Shockingly Affordable” price tag. 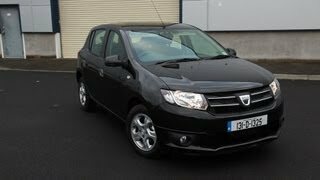 Set to arrive in Dacia Retailers in January 2013, the new Sandero from Europe’s fastest-growing automotive brand since 2004 will join the Duster SUV to launch a two-pronged assault on the UK car market with an unbeatable combination of equipment, price and space. Thankfully, for those champing at the bit to find out more about the new Dacia baby before it reaches the UK, they won’t be kept in the dark for too long. That’s because its tempting prices and specifications will be announced, together with the opening of UK ordering, in the not too distant future. 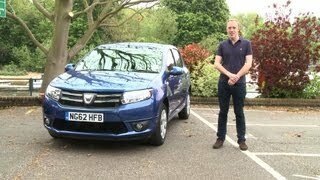 Until then, let’s just say Dacia has already scared the competition with its Duster SUV. 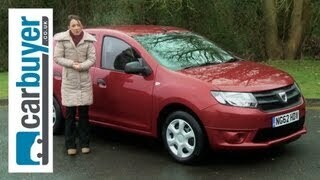 Sandero is likely to cause just as much consternation in the corridors of power at rival car manufacturers. Together with the brand new Logan saloon which will also be unveiled in Paris next week, the second-generation Sandero showcases a more modern, purposeful and upmarket look. One of the main qualities behind the brand’s new styling identity is to give a sense of quality and strength. At the front, harmonious lines are shared by both new models and highlight the Dacia logo which sits boldly in the grille. The front end’s look is made even more expressive through the wide headlights and grille. Seen in profile, the balanced proportions of the body panels compared with the glazed surfaces reinforce the impression of robustness suggested by the sculpted waistline, more prominent wheelarches and indented flanks which are hallmarks of the entire Dacia range. Both new models inaugurate the new dark charcoal or two-tone well-equipped, modern dashboard (depending on model and version) which features chrome instrument surrounds and more functional and modern controls. The air vent surrounds, logo on the steering wheel and gear lever knob are all picked out in chrome (depending on equipment level), while the lower edge of the central fascia features a coloured trim (depending on finish) that co-ordinates with the door pulls and decorative steering wheel insert. Meanwhile, special attention has been paid to ensuring an immediate impression of quality, which is reinforced by the improved interior materials and overall enhanced fit-and-finish.